A political agency, with judicial functions and reporting to the Persian Gulf resident at Bushire, was established in Bahrain in 1900, on the shoreline at the northern tip of Manama town. In 1946, after fifteen years of sporadic argument, the political residency itself was moved from Bushire to Bahrain, and took up temporary accommodation in the naval base at Juffair, about three miles south-east of Manama, where the Admiralty had bought 72 acres of land from the Bahrain government in 1934. 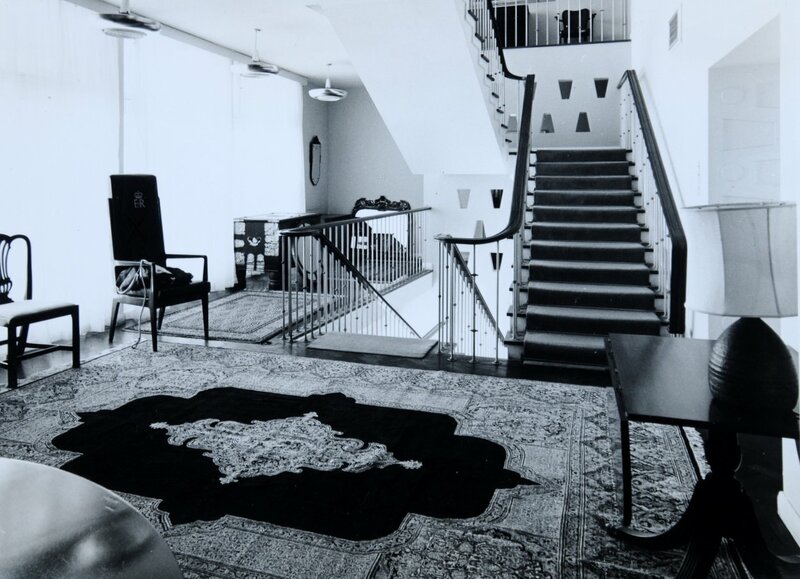 In 1971, when Britain withdrew its forces from east of Suez, Bahrain became independent, the agency at Manama became an embassy, and the residency at Juffair ceased to exist. A two-storey agency building, with deep verandas all around both floors, was built with Government of India funds in 1902 on a three-acre site granted free of charge (and formally registered in 1953). A courthouse and ancillary accommodation was subsequently built on the same site. The agency building remained in use until its roof collapsed in September 1953. 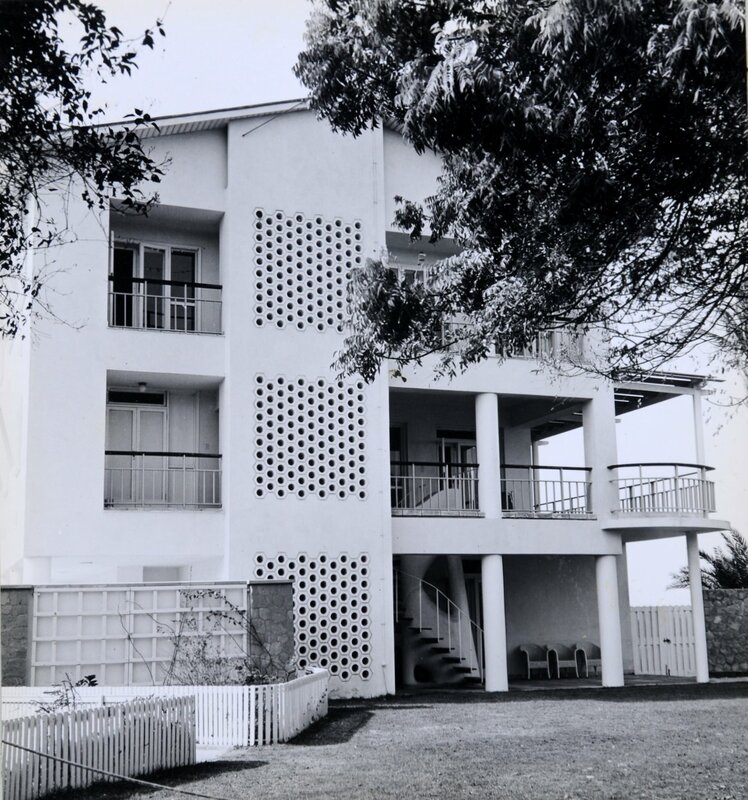 The Ministry of Public Building and Works demolished the rest of the building in 1955 and completed the following year a three-storey building on the same site, still on the shoreline, with offices on the ground floor and residence on the two floors above. The architect was William Bryant, and the building was built by directly employed labour (rather than by a contractor). The old courthouse was subsequently leased to the British Council. 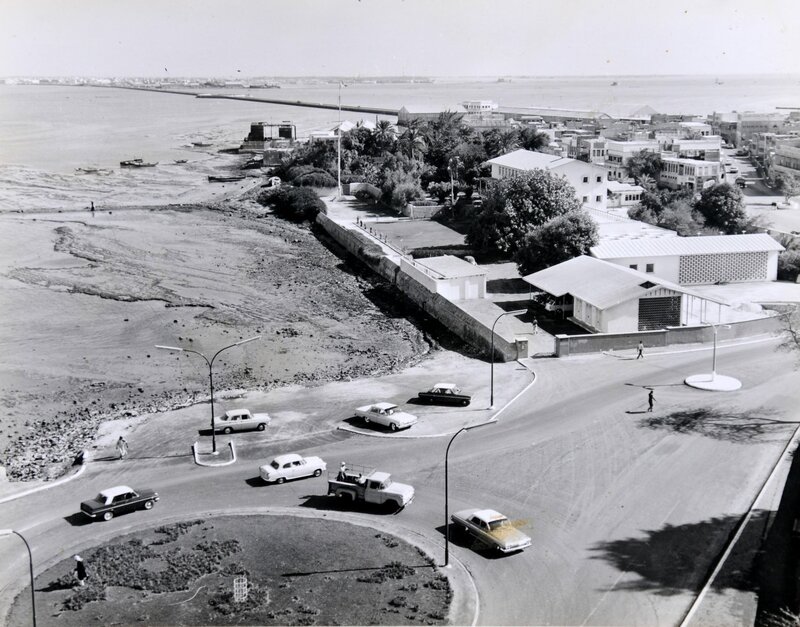 A strip of land along the shoreline was reclaimed from the sea during the 1960s, and in 1971 that part of the strip, comprising nearly two acres, that lay adjacent to the agency site was bought freehold, subject to restrictive covenants on its development, from the government of Bahrain for about £12,000: the new land became an admirable carpark for the embassy and British Council. The line of the old sea wall between the original site and the reclaimed land remained visible for many years [?still]. In 1984, in response to an initiative by the then-ambassador Roger Tomkys, the Foreign Office commissioned a feasibility study from John S Bonnington Partnership, for selling the east end of the Manama compound to fund the development of some of the remainder for a new office building in which space could also be let to British firms. Tomkys moved on before meaningful discussion could take place with the Amir and the ideas fell away. By the 1990s, the embassy offices were seriously overcrowded, extra space for the immigration section was required, and the British Council had vacated the old courthouse which had become structurally unreliable. New one-storey offices to solve all these problems were designed by John Bateman, of Jordan and Bateman Architects (and formerly of the FCO’s Overseas Estates Department), and completed in 1994. Drawing of proposed new agency building, 1954. Entrance, south, frone of agency building, 1960s. 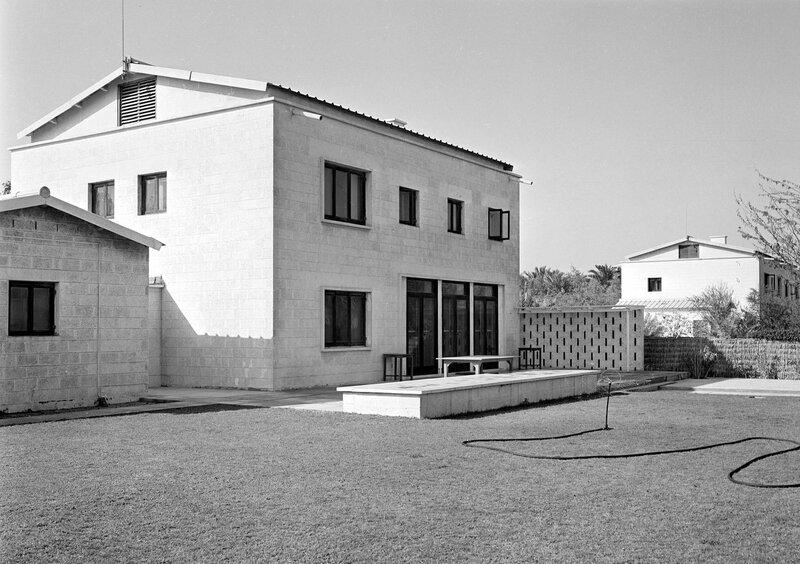 Garden, north, front of agency building, 1960s. 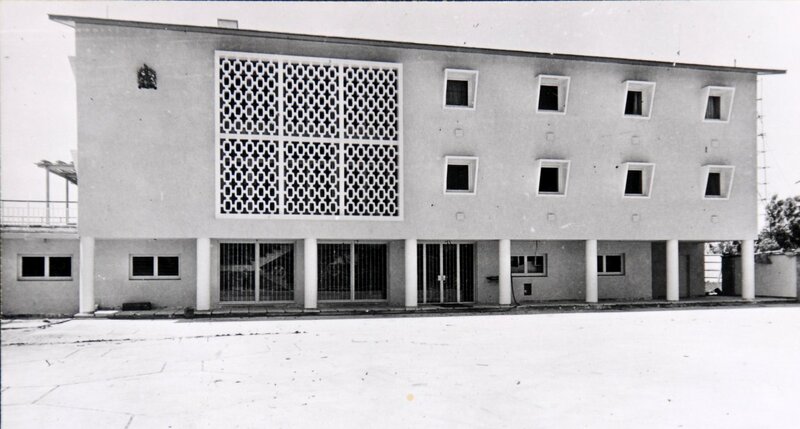 Agency compound after construction of new building and before land reclamation along its northern edge, 1960s. 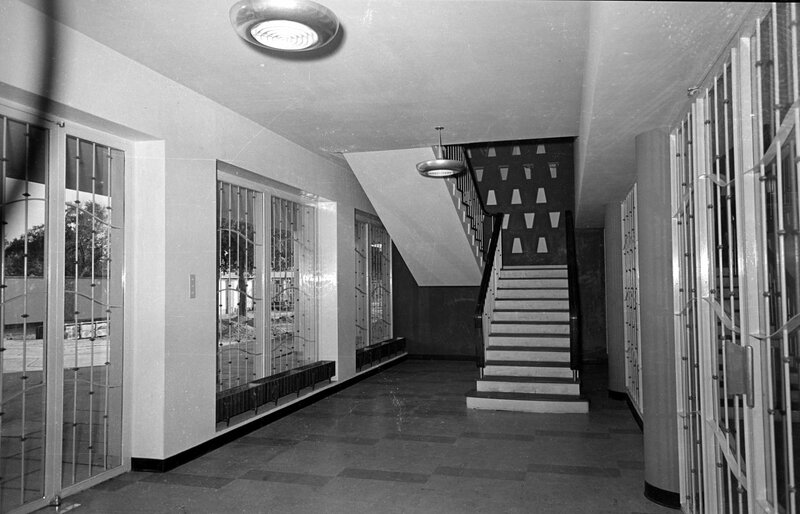 Entrance hall to agency building, with stair up to residence and, at right, door to offices, 1956. 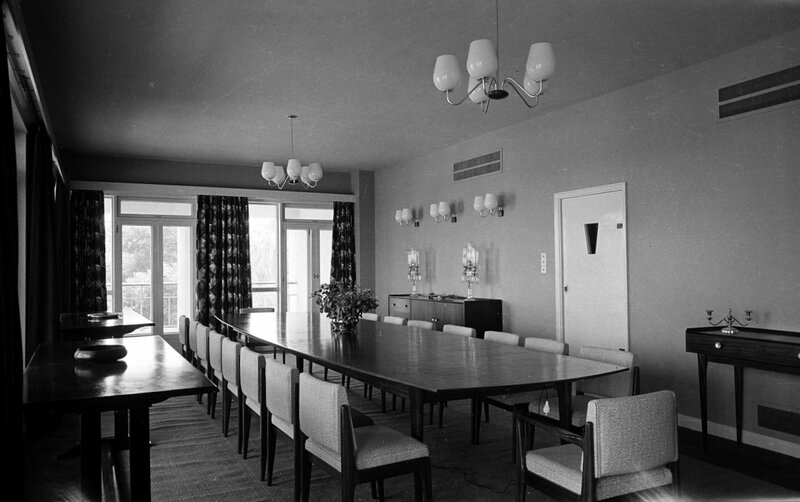 East end of building, with first floor residence terrace around dining and drawing rooms, with stair down to garden,1960s. 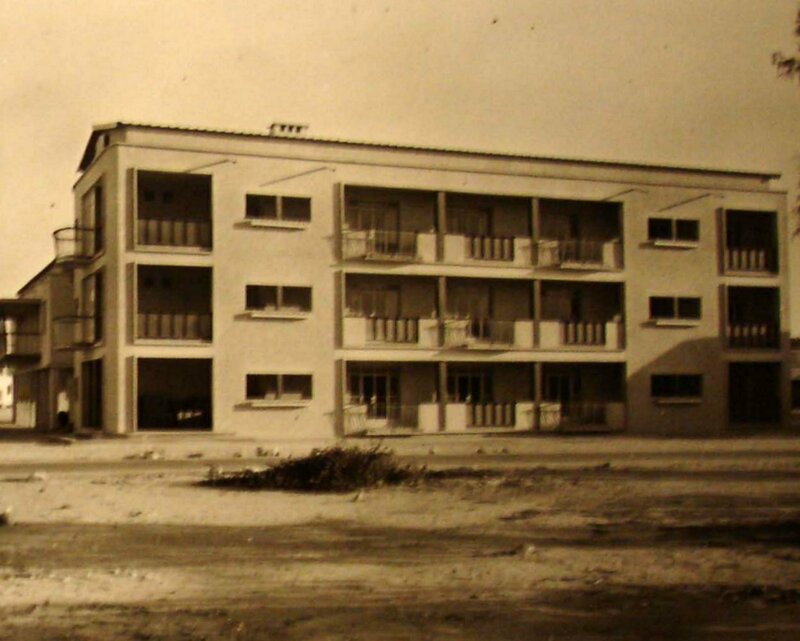 When the Persian Gulf residency moved from Bushire to Bahrain in 1948, agreement was reached with the Admiralty that fifteen acres of the 72 that it had bought in 1934 should be allocated to it as the residency compound. Six staff bungalows were completed here in 1949 by the Ministry of Works as the first phase of its development, followed by other senior houses, staff flats, offices and servants’ quarters. The naval base at Juffair was transferred in 1971 to the United States navy, and most of the fifteen acres that the political residency had occupied were returned to the Bahrain government. The remainder, just over two acres in two plots not far apart, was put on a 60-year lease from 1973 at low rent to house embassy UK staff: it contained four houses and a block of four flats. Sketch plan for new over-grand residency, ground floor, prepared 1937 by Central Public Works Department, New Delhi. 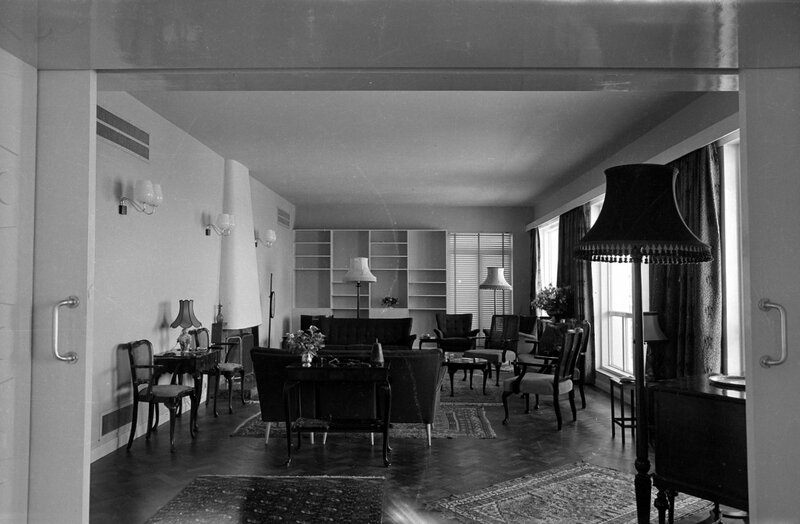 Four flats for Residency UK staff, completed 1953. 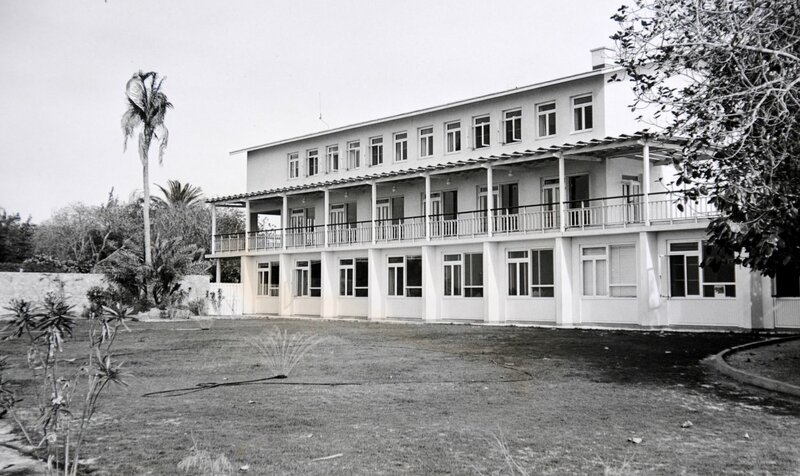 Garden view of last resident’s house, Juffair, 1967.